Centipedes and millipedes seem to get lumped together in a miscellaneous group, simply, the critters that are not insects or arachnids. Most people have difficulties telling the two apart. Both centipedes and millipedes belong to the subgroup of multilegged creatures called myriapods. Within the myriapods, the centipedes belong to their own class, called chilopods. 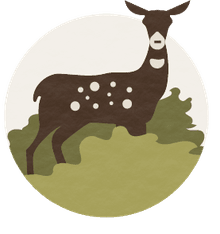 There are 8,000 species. The class name originates from the Greek cheilos, meaning "lip," and poda, meaning "foot." The word "centipede" comes from the Latin prefix centi-, meaning "hundred," and pedis, meaning "foot." Despite the name, centipedes can have a varying number of legs, ranging from 30 to 354. Centipedes always have an odd number of pairs of legs, which means no species has only 100 legs as the name suggests. Millipedes belong to a separate class of diplopods. There are about 12,000 species of millipedes. The class name is also from the Greek, diplopoda which means "double foot." Although the word "millipede" derives from the Latin for "thousand feet," no known species has 1,000 feet, the record holds at 750 legs. Besides the number of legs, there are a number of characteristics that set centipedes and millipedes apart. Defensive mechanism Use their fast moves to escape predators, injects venom to paralyze prey and can squeeze prey with back legs. Curls body into tight spirals to protect their soft undersides, head, and legs. They can burrow easily. Many species discharge a smelly and disgusting-tasting liquid that drives off many predators. 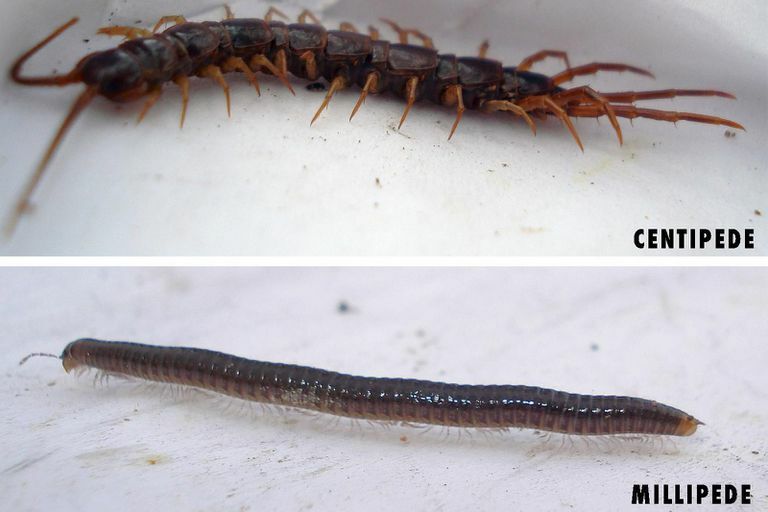 Although they vary in a lot of ways, there are some similarities between centipedes and millipedes like belonging to the largest phylum in the animal kingdom, Arthropoda. Besides both having antennae and many legs, they also breathe through little holes or spiracles on the sides of their bodies. They both have poor vision. They both grow by shedding their external skeletons, and when they are young, grow new segments to their bodies and new legs each time they molt. Both centipedes and millipedes are found throughout the world but are most abundant in the tropics. They require a moist environment and are most active at night. The giant Sonoran centipede, Scolopendra heros, which is native to Texas in the U.S., can reach 6 inches in length and has sizeable jaws that pack quite a punch. The venom can cause enough pain and swelling to land you in the hospital and can be very dangerous to small children or individuals that are sensitive to insect toxins. The giant African millipede, Archispirostreptus gigas, is one of the largest millipedes, growing up to 15 inches in length. It has approximately 256 legs. It is native to Africa but rarely lives in high altitudes. It prefers forest. It is black in color, is harmless and is often kept as a pet. Generally, giant millipedes have a life expectancy of up to seven years.